Baggataway bowl this Friday, 4/26 8PM at Penninsula High School. 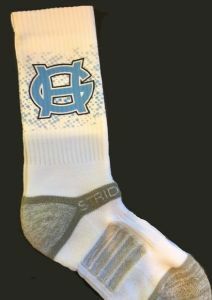 White Strideline socks with Carolina Blue "GH" logo. Supplies are limited.